Competition-grade rounds, for a competitive price! 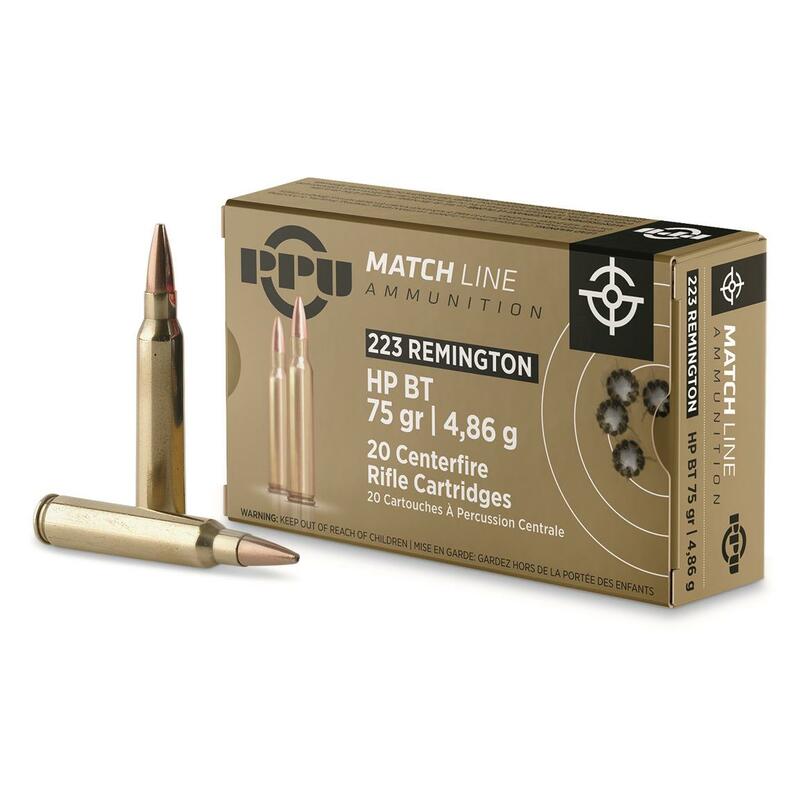 Custom Match-grade Rounds for competitive shooting, indoor ranges and big game hunting, top-quality and priced right! Match Rounds are made from premium-quality materials on special equipment, and subject to intense quality-control standards. Meets all SAAMI standards. Current-production, non-corrosive, boxer-primed. Reloadable brass case. From Prvi Partizan, the top Serbian munitions manufacturer. PPU, .223 Remington, Match HPBT, 75 Grain, 20 Rounds is rated 4.5 out of 5 by 37. Rated 5 out of 5 by BigRob777 from Best overall price anywhere. Great for my 1-7 twist AR-15. Best rice I have seen, once you factor in the free shipping. Rated 5 out of 5 by Fred from great ammo first time buying this ammo and so far Im getting better groups with this than any other ammo I have tried. I'm shooting a Rockriver 16 in and I've shot Remington, hornady, and Winchester and PPU has been the tightest shooting I've done. Rated 4 out of 5 by FNStein from Excellent ammo. I use it for my high-power 200yd matches. Maximum expansion…even when others don't.